Rebecca Bottone is a graduate of the Royal Academy of Music. She has sung Blonde in Die Entfürung aus dem Serail for the Aix-en-Provence Festival conducted by Minkowski, Casilda in The Gondoliers for English National Opera, Hansel and Gretel for Scottish Touring Opera, Paisiello’s Il Barbiere di Siviglia for Bampton Classical Opera and Nanetta in Falstaf for English Touring Opera. She was an Associate Artist of the Classical Opera Company, with she sang Despina in Cosi Fan Tutte, Melia in Apollo and Hyacinthusand Elisa in Il Re Pastore. In Paris, she has sung Charmeuse in Thais under Eschenbach at the Châtelet and Ades Five Eliot Landscapes at Radio France with the composer. 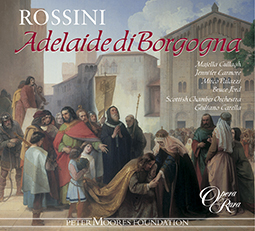 At the Edinburgh Festival she has sung Adelaide di Borgogna with the Scottish Chamber Orchestra, conducted by Giuliano Carella, which was recorded for Opera Rara (ORC32). 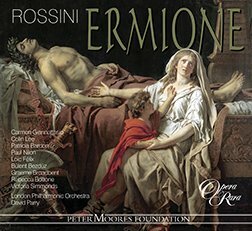 She also appears on Opera Rara’s studio recording of Rossini’s Ermione (ORC42).